At the beginning of this year I went to an iPad training and was absolutely MIND BLOWN. Did you know you can use your iPad with a switch? Don't have a switch? Do you know you can use your iPad as a switch?! I'll show you where you can find these options, try them out and let me know how it works! First, you're going to go into Settings > General > Accessibility. Have you ever been here before? Take a minute to take in the awesomeness. You can Invert Colors or Increase Contrast for students with poor vision. You also have options to choose Larger Text - which I love because not only does it make things easier to read, it naturally displays less on a page. Or you can check out the Speech options in order to set it up to read selected text for struggling readers (Speech > Speak Selection and you might also want to choose Highlight Content to have the words highlighted as they are read!). Seriously, I was SO EXCITED about these options! Like, who knew?! The Assistive Touch menu options is great because you can add commands like turning volume up or down to a box on the screen if you have students who have difficulties accessing the volume control. 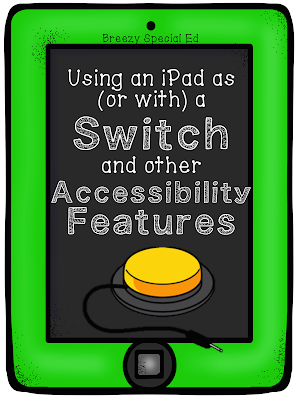 The Touch Accommodations include options such as telling the iPad to use the initial touch location, or the final touch location, which would be great for students who drag their fingers across the screen when trying to make a selection! You can also tell your iPad to ignore repeat touches! And now my favorite, the Switch Control options! Head over to Switch Control > Switches > Add New Switch... You then have three options. External: If you have an external switch that plugs in or uses bluetooth, you can connect it and use it with the iPad. Camera: You can use left and/or right head movements as switches too! Then you will want to scroll through the options to choose things like your scanning style, time, repeats, and tap behavior. 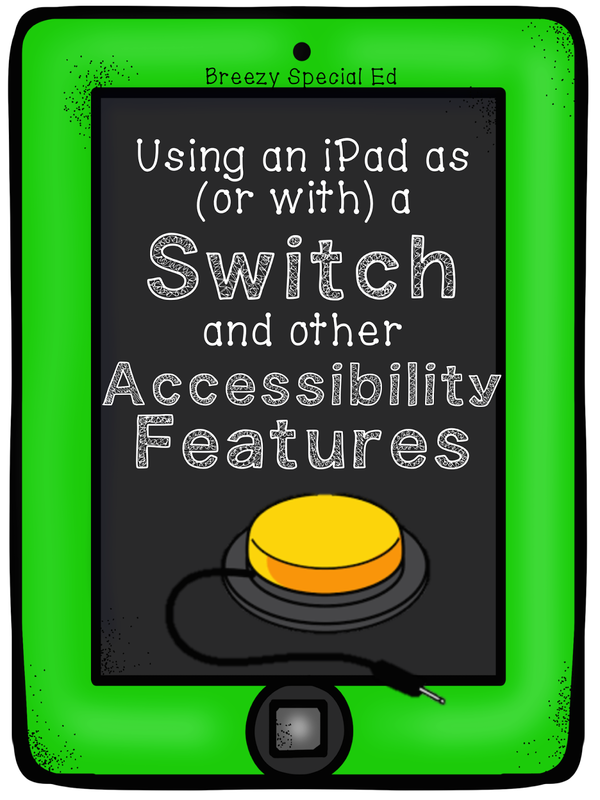 You could easily use these switch options in combination with a communication app for students to speak too! Still have questions? There's a lot of options! Read this switch control article from Apple for more information on these scanning choices! Now, you'll have to let me know. Did you find something new? 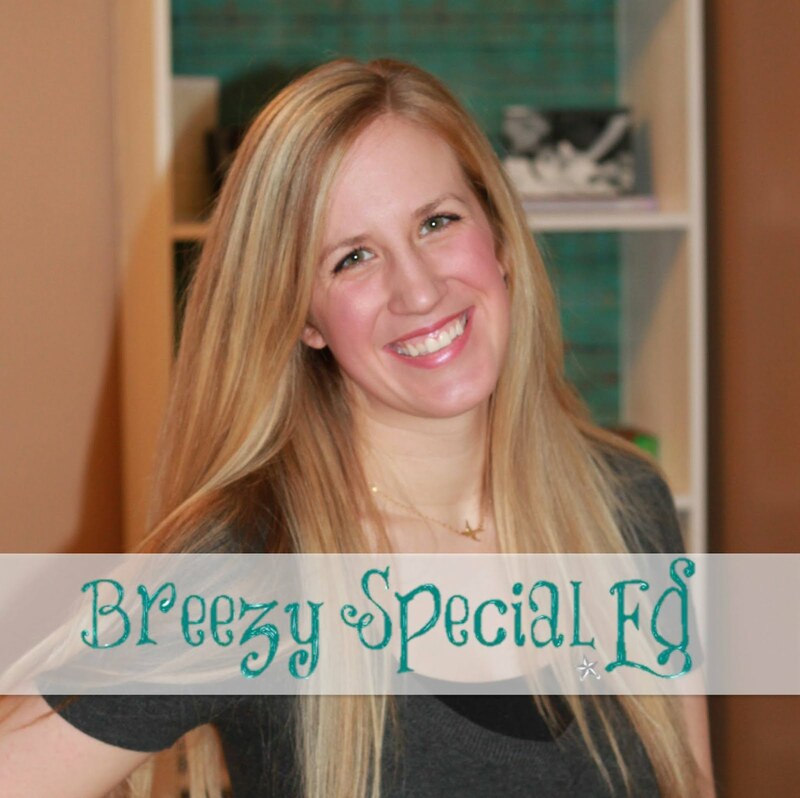 How could you use this accessibility features in your classroom? thanks, I'm excited to try these. Especially the feature that ignores multiple tapping! !